It’s easy to think that all-inclusive resorts are created equal. And while some aspects of all-inclusive hotels and resorts are the same, there are so many types of all-inclusive resorts that work for different groups. When you work with Brownell Incentive Travel, we help you find the best property that fits your organization’s unique wants and needs. To get an idea of some of our partners, we share some of the best all-inclusive resorts for incentive groups below. Nestled in the vast wilderness of Montana, The Ranch at Rock Creek is a year-round all-inclusive ranch experience on an authentic 19th century homestead. The adventure of the Wild West is met with splendid service, inspired cuisine and lavish accommodations—all brought together in a boundless all-inclusive package. Intimate property, excellent for small groups that value close, personal time spent together and developing strong fellowship. 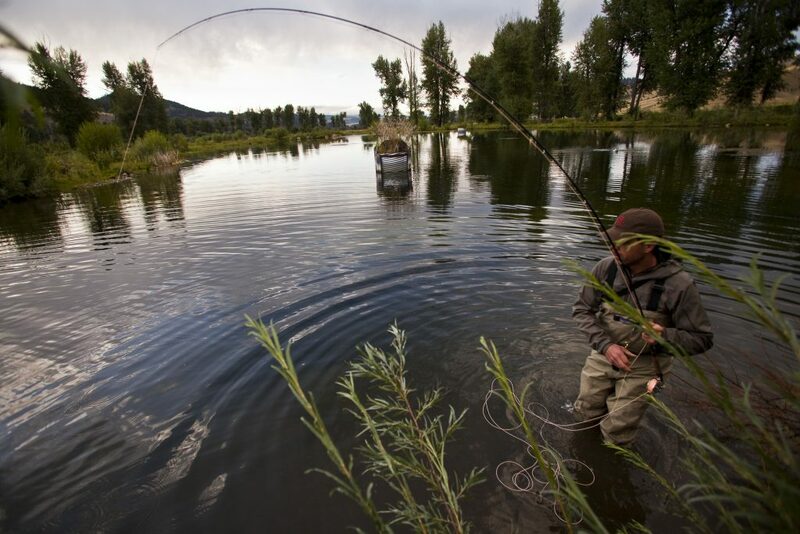 Adventurous activities such as fly-fishing and sporting clays, lend themselves to team building and memorable shared experiences. The Ranch at Rock Creek is the world’s First Forbes Travel Guide Five-Star ranch. Set deep in Riviera Maya, far from the crowded hotel zone, UNICO is an oasis, immersing guests in the culture of the Yucatán region. Inspiration is found in the curated décor, hand-crafted cocktails and inventive cuisine. Whether you prefer to lounge by the stunning beach, pamper yourself at the Esencia spa or dance the night away at Palmera Lounge, you’ll spend your getaway feeling that you’ve truly escaped to the magic of the Riviera Maya region. Their tech-savvy approach to service means that younger generations will feel right at home. Order cocktails directly to your beach chair with their user-friendly resort app, which also allows you to customize your room down to the pillows and mini-bar items prior to arrival. Even more convenient, guests can book their inclusive spa appointments and activities through the mobile app. UNICO 2087 is pioneering a new definition of all-inclusive where nightly rates include spa treatments, local activities and more. No pesky upcharges for items like lobster tails, top-shelf liquor or room service and no bill-signing necessary! Located just minutes from San Jose del Cabo, the Hyatt Ziva Los Cabos is a classic all-inclusive destination located in Cabo. Surrounded with a buzz of activity, the Hyatt Ziva has no shortage of fun for your guests, including nightly theater productions. The proximity to San Jose del Cabo means that guests can pop into the Old Town for a taste of authentic Baja California culture. Excellent for large groups, the Hyatt Ziva boasts over 550 guestrooms. Five outdoor pools, six bars and eight restaurants create a campus-like resort sitting on the edge of the Sea of Cortez. Conquer the size of this resort and create a VIP experience by putting smaller groups or special guests in one of the 34 swim-up suites. A club level is also available for an upgraded experience of luxury, which includes access to an exclusive Club Lounge, beach butler and private check-in desk. This Antiguan beachfront hotel specializes in laid-back luxury, offering delicious island cuisine and stunning beaches in a secluded, authentic Caribbean setting. 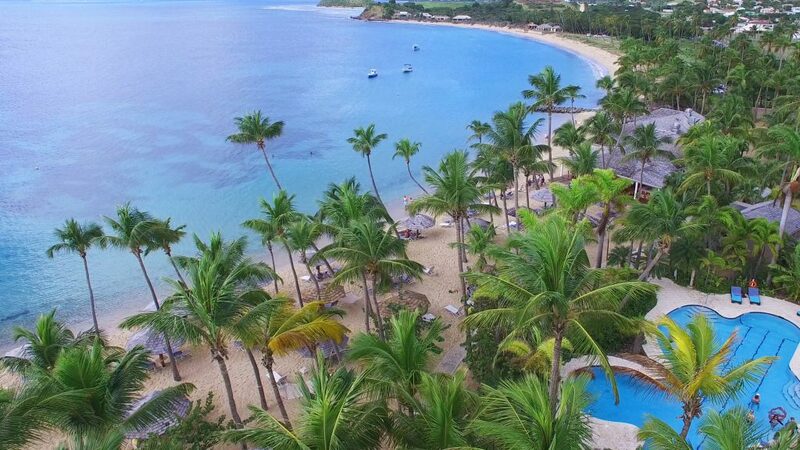 Curtain Bluff is perfect for small, sophisticated groups who value personal service over flashy facilities. Here, luxury is defined by authentic experiences and friendly, warm service. Curtain Bluff has an extensive wine collection with over 400 wines carefully selected by the in-house sommelier – a rarity for an all-inclusive destination. Opening in May 2019, Hard Rock Hotel Los Cabos is the newest all-inclusive destination on the Baja Peninsula. The property sets a new standard of luxury for the well-known Hard Rock brand with redesigned guestrooms, elevated dining experiences, and no shortage of nightlife and activities available. Perfect for golfing groups, the Hard Rock Los Cabos and neighboring Nobu Los Cabos are the only two resorts which have access to the posh Diamante Golf Club, which features the #36 ranked course in the world, The Dunes Course by Davis Love III, and the first-ever Tiger Woods designed course, El Cardonal. The Hard Rock Los Cabos offers largest beachfront in Cabo! Secrets Royal Beach Punta Cana is an all-inclusive resort nested in the palms of Punta Cana. With an expansive white-sand beach, endless daytime activities, and nightly entertainment, this resort is a crowd pleaser. A proven winner for groups, the Secrets Royal Beach Punta Cana is a fan-favorite of groups both large and small. Secrets’ experience with group clients sets their conference-service teams apart when it comes to planning and execution for your attendees. The resort is adult-only, allowing your guests to take a guilt-free hiatus from little ones at home. Click here to learn more or start planning your incentive trip with Brownell Incentive Travel.